Listen to the Sounds of Christmas in Ireland! You’ve decided to spend Christmas in Ireland? Brilliant idea. Dublin buzzes, the countryside whispers so take your choice. Get into the spirit of Christmas and say hello to folks left and right. The greeting for “Merry Christmas” in Irish is Nollaig Shona Duit (Irish pronunciation: [nʊll-ɡ honˠaː dɪt]) (singular) or Nollaig Shona Daoibh (Irish pronunciation: [nʊll-ɡ honˠaː yiɛɛw]) (plural), the literal translation of this is “Happy Christmas to you”. If “Nollaig, Shona, Duit/Daoibh” was literally translated, word for word, into English, it would be “Christmas, happy, for you”. 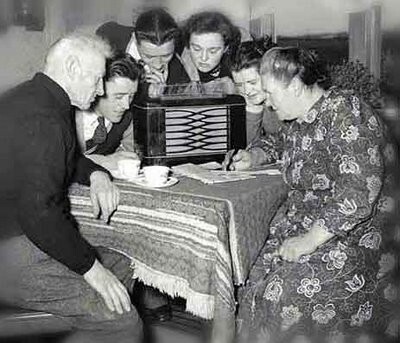 1) Joe Duffy’s walk around Grafton Street, Dublin, is an annual tradition broadcast by RTÉ Radio 1 on Christmas Eve. 2) RTÉ 2fm disc jockey Dave Fanning counts down his “Fanning’s Fab 50” listeners music poll on air each year before Christmas, with U2 proving most popular on a regular basis. 3) From 2008, Christmas FM broadcast Christmas songs non-stop until 26 December. 4) On FM104, Santa visits the FM104 PhoneShow on their last broadcast before they go on their holidays (usually the 23rd or 22nd). Have a happy, and enjoy some of the Christmas traditions in Ireland, whether in person or on the net!